GLT is an NPR affiliate delivering excellent local, national and international news, information and entertainment. GLT reaches more than 25,000 central Illinois listeners weekly through radio broadcast from the campus of Illinois State University. 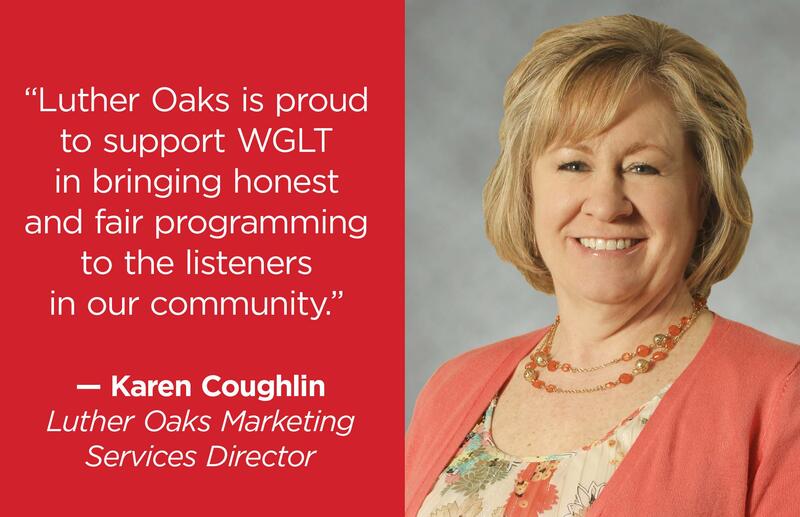 Our reach extends to tens of thousands more audience members globally through WGLT.org, web streams, and the NPR One app. 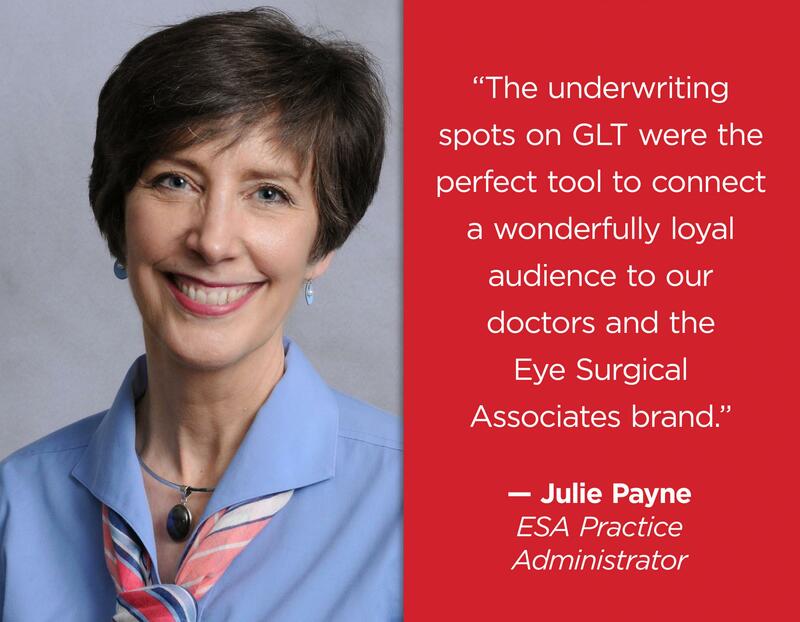 GLT offers a non-intrusive, clutter-free environment for on-air and online underwriters. 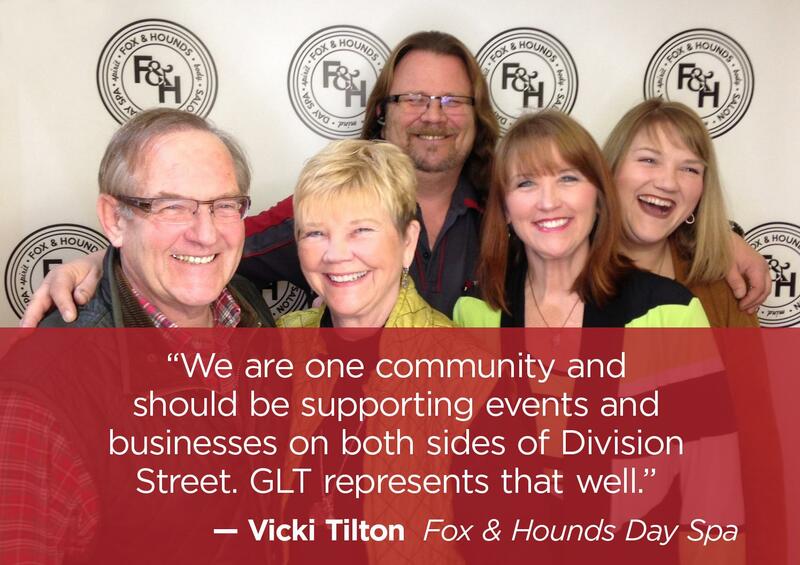 Many options for marketing or philanthropy exist, and your support ensures you’ll be reaching business owners, community leaders, decision makers, and influencers who are engaged and intensely loyal to GLT. Our audience is 83 percent more likely to take action after hearing something on NPR, including consider/research/purchase a product or service from a company that supports public radio. The concise and straightforward underwriting messages instill a sense of quality, credibility, and community connection between our audience and your product or service. Our team will work with you to help your organization reach financial, marketing, and/or philanthropic goals. GLT is among the most award-winning public radio stations in Illinois and, for the size of our community, in the country. When you become a GLT underwriter you not only raise awareness of your business among an exceptional audience, you also contribute to the success of a vital and valued community service. Our audience is very invested in the programs they financially support and depend on every day. If you are interested in becoming a GLT underwriter, contact Bobby Nash Castillo at bobby@wglt.org. 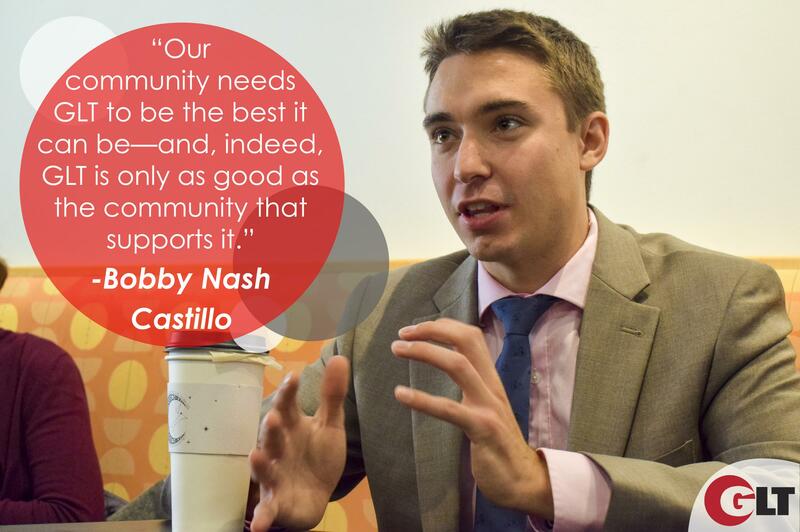 GLT Corporate Support Director Bobby Nash Castillo.